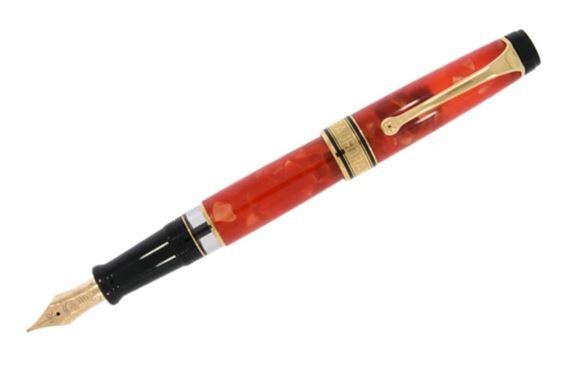 Order your Aurora Limited Edition Optima 365 Corallo Fountain Pen today from FahrneysPens.com. Fine Pens, Refills & Luxurious Gifts – great prices & fast shipping. The latest Limited Edition Aurora Optima 365 Corallo is made of stunning Coral Red Auroloide with an 18K gold nib fitted with an ebonite feed. Piston fill Limited Edition of only 365 numbered pieces being made. EF, F, M, B, Stub & Italic.